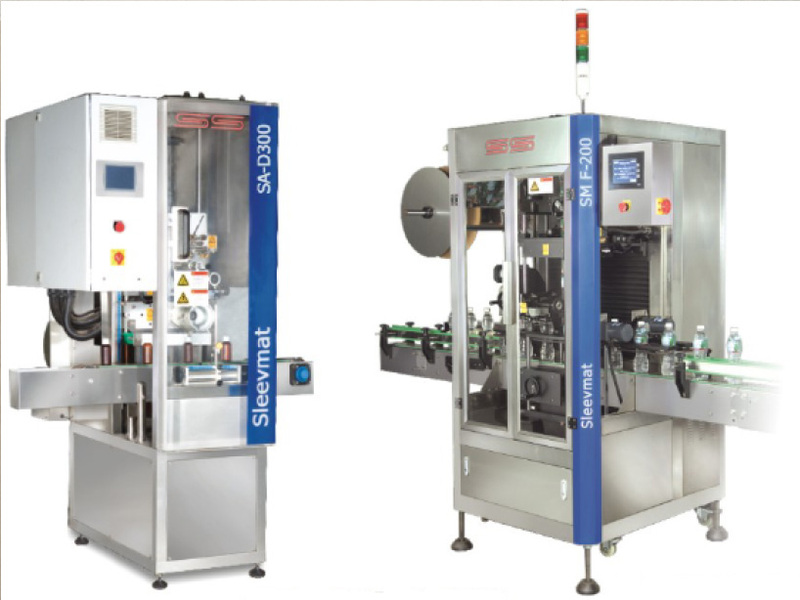 Sleevmatic is designed to feed, cut and apply sleeve onto the product. The product enters into the machine on equal intervals by the help of an in-feed worm. Sleeve is feed from a spool situated at the rear of the machine & brought through several guides to the feed/cutting head unit located at the front. All these functions of sleeve movement are controlled by a servo motor and a photo-electric sensor which ensures the perfect unwinding of the sleeve roll. A pneumatic cutter is provided to cut the sleeve in the required length which is controlled by a sensor/en-coder. The cut length of the sleeve is temporarily held by an aluminium drum with the help of vacuum until the sensor senses the product. The moment it senses the product, it delivers the sleeve onto the product. After the sleeve is delivered onto the product it is positioned with the help of two brush worm driven by servo motor. 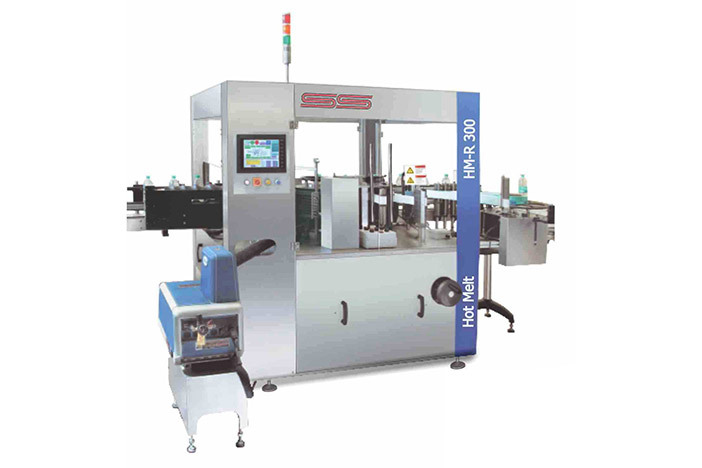 Linear hot melt labelling machine is a versatile machine for precise and accurate dispensing of BOPP label on the bottle. This machine incorporates a totally new concept in roll-fed labelling technology. The cutting of label we take place on the vacuum drum by pneumatically operated blades incorporated within the drum assembly. Machine is incorporated with two infeed chambers i.e. bottle infeed and label reel infeed. The pulling of label reel is controlled by A.C. servo motor and cutting is controlled through electromagnetic clutch mechanism for accurate cutting of labels. The same machine can be used for different sizes of labels with minimum change parts. There are no glue roller and scraper blade assemblies because the hot melt gluing application is carried out using a controllable movement of glue drum spray which accurately applies hot melt glue to the leading and trailing edges of label. This technology of glue dispensing eliminates glue spillage thus maintaining a much clean machine during operation.